CLEANING TEETH AND BRINGING PATIENTS SOUND ORAL HEALTH is not only our job here at Dental Care Today, PC, it is our passion. We love what we do every day—dentistry makes us happy…and we feel quite blessed to be able to say that! Dental work is a mix between science, management, engineering, and artistry. Each day is different and challenging. Technological advances in the dental profession happen every day as techniques, materials used, and procedures become increasingly advanced. The opportunities to learn and improve are endless. But, best of all, the dental profession provides us all with the opportunity to help people and to make a difference in their lives. It may not seem like much, but the personal fulfillment that comes from being a dentist and helping people feel better about their smile and/or oral health is fantastic. Sometimes “feeling better” means “physically” better (if someone is uncomfortable or in pain). Sometimes “feeling better” means “emotionally” better (such as helping someone have the self confidence to smile again). We want all of you to know how much we appreciate you, our valued patients. YOU are what make us smile. We are also lucky here at Dental Care Today, PC to be able to work with such talented, great friends. Some of you may be in the early early stages of choosing your own career paths—OR, you may have children or grandchildren who are making career decisions right now. 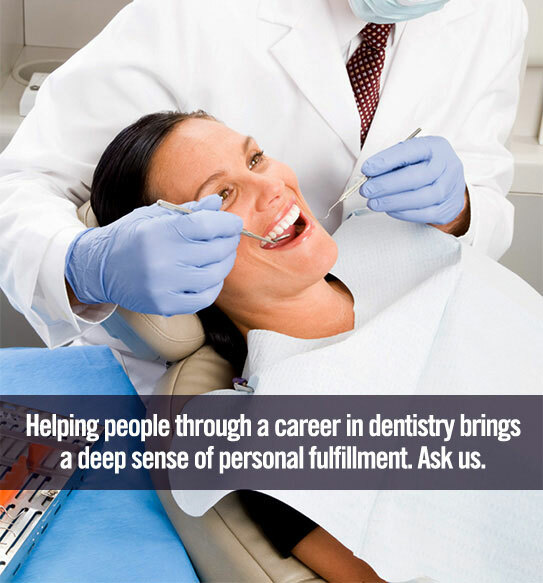 If we can ever be of help to you—or to somebody you care about—in answering questions about the varied careers in the dental profession, please let us know. 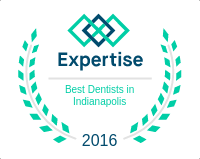 Thanks again for being friends of our dental practice. In case you’re interested, attached below are a brochure AND a short video that will help you learn more about careers in dentistry. By the way, we sure appreciate having you “Like” on our Facebook page. If you haven’t visited our page yet, simply click on the logo below. Thanks!